This is a hands-on learning workshop, not a sit-down lecture. Participants will be organized in teams to solve a business problem emulating a real-world scenario. Seasoned consultants will share tips and tricks to help participants jump-start their journey to continuous improvement. What does it take to go from average to world-class? Complete all activities and exercises of the course. 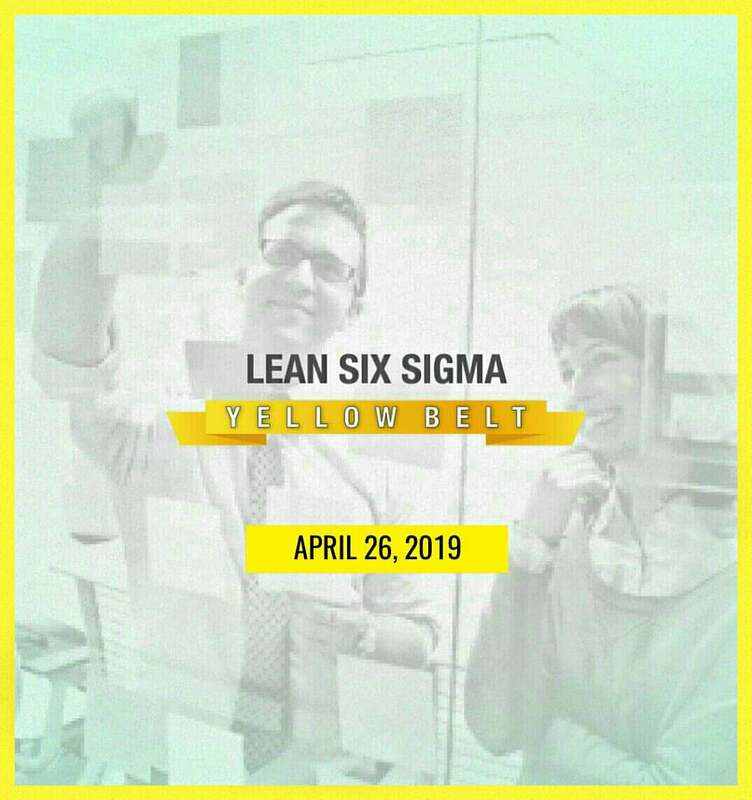 Yellow Belt certification will be awarded at the end of the program. Payable until April 24, 2019 only. Inclusions: Lunch, AM/PM Snacks, Seminar Kit, Course Certification. Project managers, technical professionals, business analysts, operations managers, quality assurance specialists. engineers, supply chain managers, logistics experts, manufacturing leaders, IT professionals, HR practitioners, team supervisors, etc..